The first in a sweeping and action-packed debut fantasy duology loosely inspired by the early climbers of Mt. Everest-perfect for fans of Cindy Pon and Alison Goodman. But everything changes when the mysterious and eccentric River Shara, the greatest explorer ever known, arrives in her village and demands to hire Kamzin-not her older sister Lusha, as everyone had expected-for his next expedition. This is Kamzin's chance to prove herself-even though River's mission to retrieve a rare talisman for the emperor means climbing Raksha, the tallest and deadliest mountain in the Aryas. Then Lusha sets off on her own mission to Raksha with a rival explorer who is determined to best River, and Kamzin must decide what's most important to her: protecting her sister from the countless perils of the climb or beating her to the summit. The challenges of climbing Raksha are unlike anything Kamzin expected-or prepared for-with avalanches, ice chasms, ghosts, and even worse at every turn. 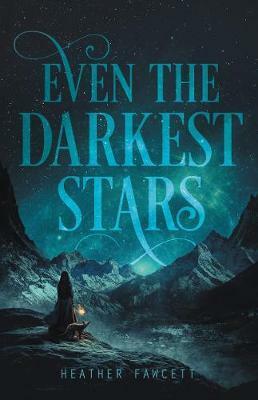 And as dark secrets are revealed, Kamzin must unravel the truth of their mission and of her companions-while surviving the deadliest climb she has ever faced.